Jetting off on a sun holiday? Find out how you can maintain your mane! The summer has to be our favourite season thanks to the warmer weather. But, we all know heat can spell bad news for your hair – especially when you’re on holidays. From the chlorine in the pool, general sun damage, and the dreaded humidity – keeping your hair in tip top shape can be a bit of a struggle, so we’ve got some tips to help you out. We’re all guilty of using the hotel hairdryer – but we’re telling you now, it’s so not worth the hair damage. 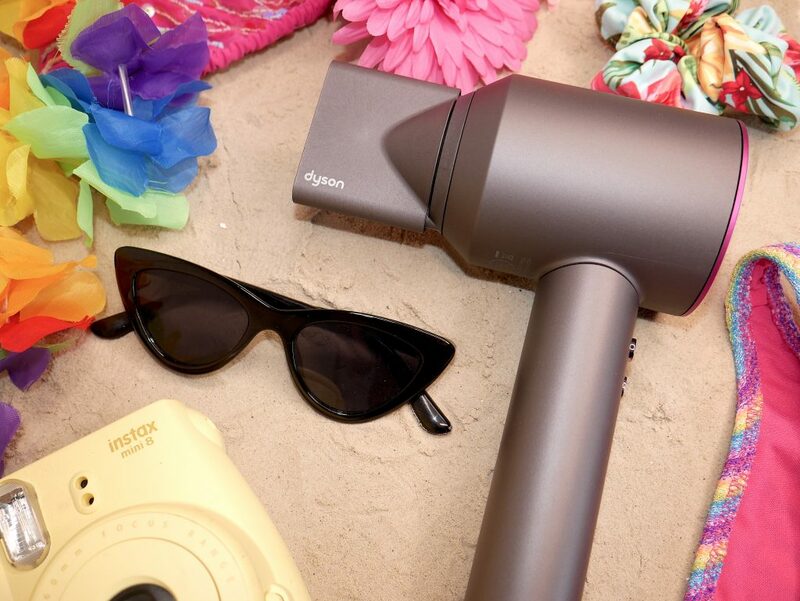 A good hairdryer is SO important when it comes to haircare – and the Dyson Supersonic is the best in the biz. 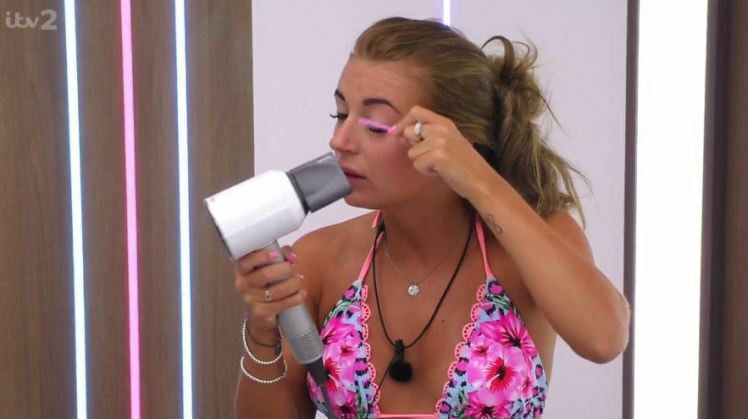 In fact, even our favourite Love Island stars are loving it – the contestants have said that they can’t wait to purchase their own ones when they leave the villa, and our fave Dani Dyer has even been using her Dyson Supersonic to dry her eyelashes! 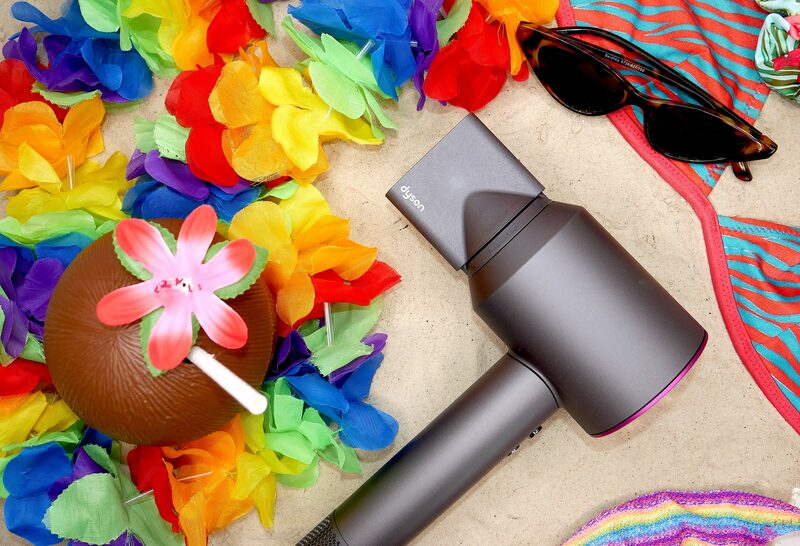 The Dyson Supersonic‘s technology allows for faster, more precise drying, and by measuring the air temperature 20 times every second – it controls heat distribution to reduce damage and protect your hair. The Dyson Supersonic’s hair dryer is ideal for all hair types too, as it comes with a smoothing nozzle, styling concentrator, and a diffuser. The Dyson Styling concentrator produces a high-velocity blade of air that’s perfect for styling. And because it’s focused, you can style one section at a time – without worrying about disturbing the rest. The Dyson engineered smoothing nozzle dries hair gently, using smooth, wide airflow, allowing you to dry and style at the same time. The Dyson diffuser is engineered to disperse air evenly around each curl. 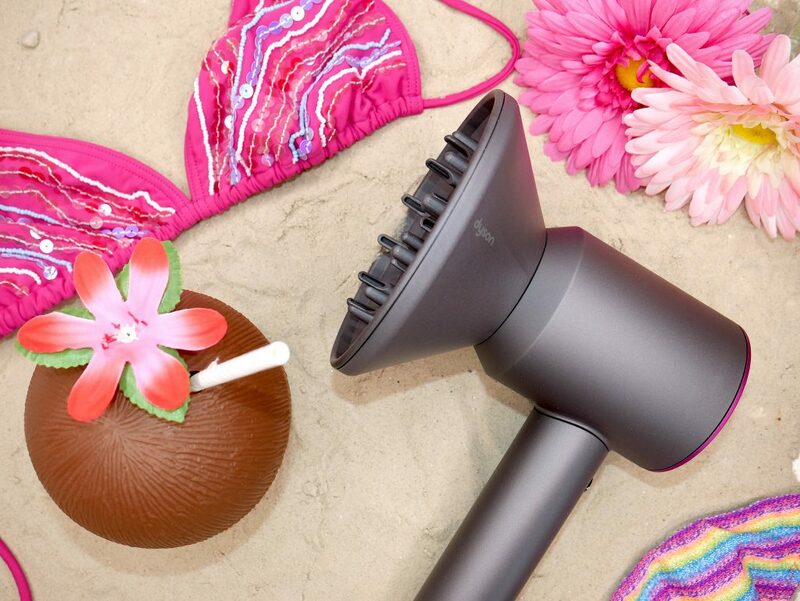 It simulates natural drying, helping to reduce frizz and improve definition – so for gals with curly hair out there, or girls who want a DIY curly blow dry, this diffuser nozzle is the dream. It’s also compact – so it’s ideal for packing in your suitcase. Want to know how to use your Dyson Supersonic like a pro? Well, the Dyson Hair YouTube channel has tonnes of simple tutorials – so you’ll be styling your hair effortlessly in no time! The Dyson Supersonic hair dryer retails at €399. Read more about it here. Ok, we know you might be thinking, ‘what? !’ – but genuinely, everyone should use SPF on their hair, especially when your in a hotter climate. Aveda have an amazing lightweight, water-resistant UV defense mist that forms an invisible screen to help protect your hair from sun exposure for up to 16 hours. 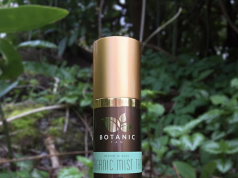 This mist will minimize colour fadage, damage and dryness. You can pick it up in Brown Thomas for €28.50. A simple tip – but a very necessary one! Wearing a hat is key when sunbathing, as many don’t realise how sensitive your scalp is. While you’re bronzing your body, you may not realise that you’re doing serious damage to your scalp – and this can be a nightmare when it comes to brushing your hair later that evening. Penneys have some gorgeous sun hats in at the moment too, so there’s no excuse girls! 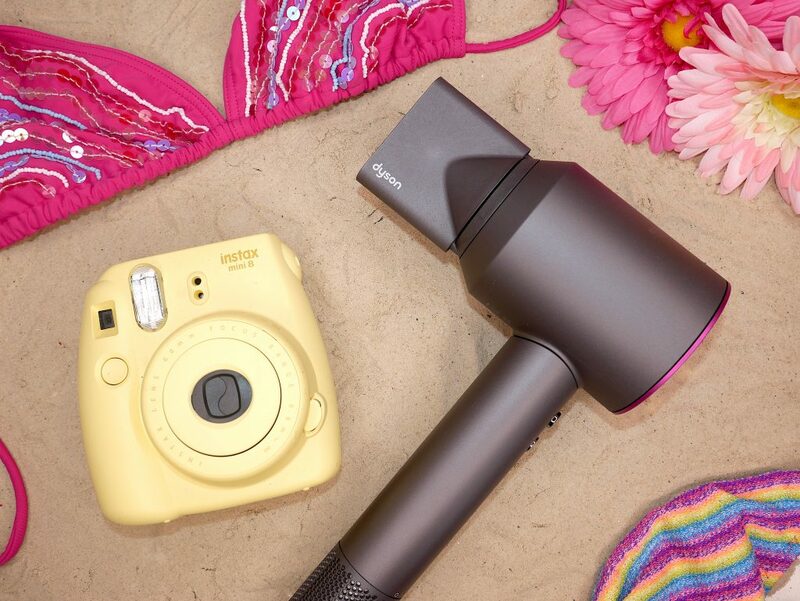 There’s nothing worse than a frizzy mop messing up your Instagram snaps on holidays – so you’ve got to take precautionary measures to tame your mane. Heat protectant sprays are ESSENTIAL when you’re on holiday, especially when your styling it for nights out after a long day in the sun. The key to combating frizzy hair is locking out the humidity to prevent breakage, and we love the John Frieda Frizz-Ease Heat Defeat Protecting Spray for doing just that. You can pick it up in Boots for €7.99. 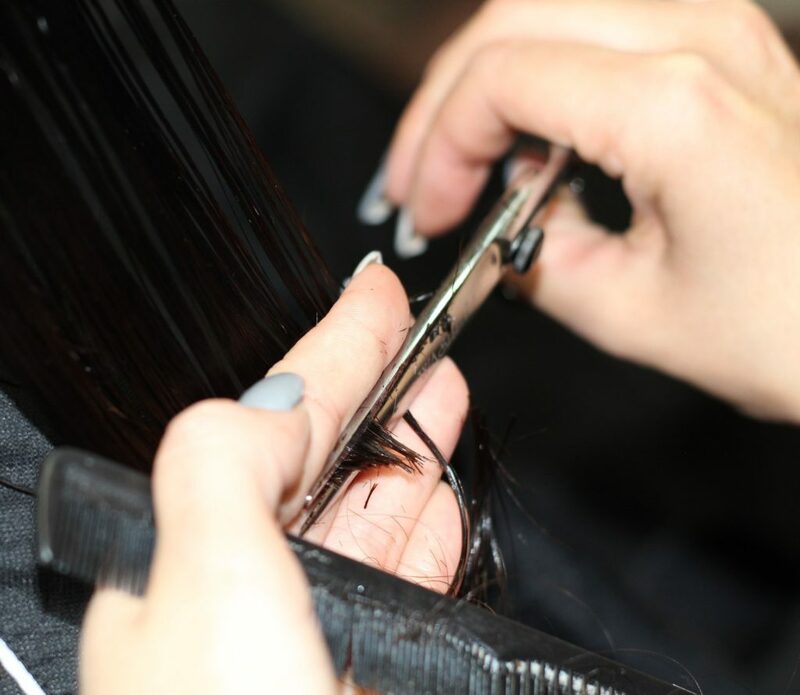 Before you head off to the airport this summer, make sure to book an appointment with your hairdresser. Getting a fresh cut will make all the difference in the sun, and will prevent your dead split ends from causing more damage to your hair. If you’re jetting off on a sun holiday, you’re more than likely going to be spending some time in the pool, which contains a lot of chlorine. Chlorine is used as a disinfectant to kill harmful bacteria in the water, but it also strips the natural oils that protect your hair from damage and daily wear. To avoid chlorine damaging your hair, douse your hair in the shower before getting into the pool – this helps slow down the absorption of chlorine because your hair is like a sponge, and will take on less water when it’s wet. It’s also a good idea to bring a clarifying shampoo with you, which are designed to get rid of chlorine and mineral deposits like copper, which can turn your hair green. We like the Moroccanoil Clarifying Shampoo, but if you’re looking for a cheaper alternative, apple cider vinegar acts as a natural clarifier. Just add one part vinegar to four parts water and pour it over freshly washed hair. 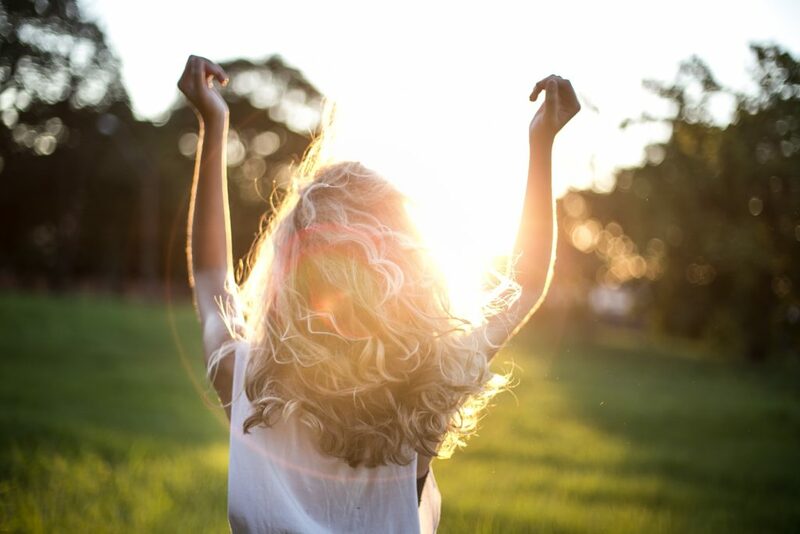 This is a given, but summers are a harsh time for your hair, so deep conditioning treatments are a must when it comes to keeping your hair hydrated and nourished. Aside from using your regular conditioner in the shower, leave-in conditioners are essential, especially if your hair is prone to getting tangled. As well as that, you should try popping in a leave-in mask at least once or twice on your holiday to keep your hair in tip top shape. Alfaparf Milano do some amazing salon quality leave-in conditioners and masks.